Photo Provided by Got Credit. We have blogged about several scams in the past, but it continues to be a problem. 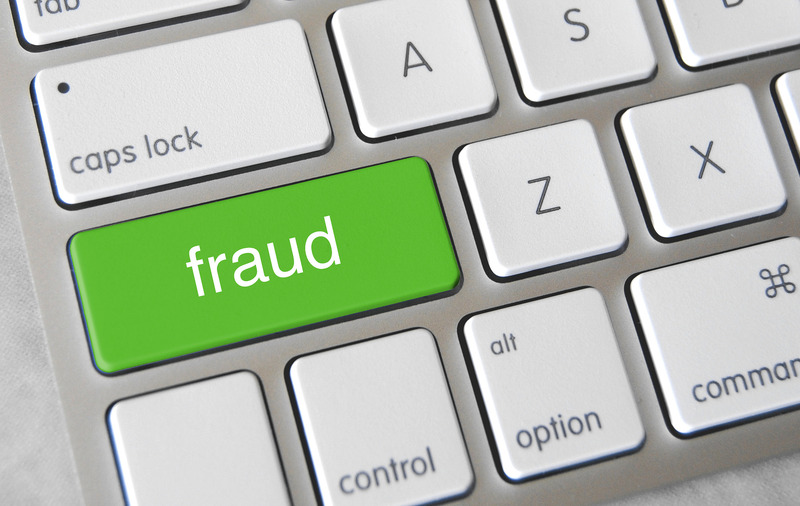 Here are four fraud items that you should be aware of. This continues to be a big problem. We have had about six of our clients this year experience it. It is very frightening. You get a call from someone claiming to be from the IRS. They usually have a thick accent that sounds like they are from India or the Philippines. They say that you owe the IRS money (usually $1000 to $10,000). They tell you that if you do not pay while you are on the phone with them they will file a lawsuit, your driver’s license will be deactivated and that if you hang up before you pay, the police will show up in 20 minutes, arrest you and you will spend 5 years in Federal Prison. They will try to keep you on the line while you go get cash from your bank and then have you put it on a reloadable debit card. They are very intimidating and scary. If you get a call, write down the person’s name and badge number, hang up and call the IRS at 1-800-366-4474. I personally got this one in my email the other day. The email comes with an attachment. It says the revenue service is going to organize tax inspections to determine whether you as a taxpayer have settled the correct amount of taxes. They ask you to open the attachment and fill out the form and return it to them or call them and give them the requested information over the phone. The form contains a request for personal information such as Social Security numbers and bank accounts. It comes from someone claiming to be a Tax Advisor. If you get this email or any email that asks you for information for the IRS, forward it to phishing@irs.org. It was recently announced that between February and May of this year, the department of the IRS that holds taxpayers accounts for obtaining transcripts was hacked into. This means that if during that time you tried to go online and get copies of your tax return transcripts or account transcripts, your information was compromised. There are several reasons people go online to get these transcripts but the two most common are mortgage loans and college FASFA applications. If you feel that you may have been affected by this there is little you can do. Be sure to monitor your credit score and make sure no one opens accounts in your name. Also carefully monitor your bank accounts or even open new ones. We know of one person already that was affected by this . A tax return was filed with his name and Social Security number. Most of the scams we see involve the IRS, but there is one going around the country involving corporations and LLCs. You receive a letter saying that you need to file your annual meeting minutes with the State. They tell you it is required and if you don’t you could be charged fines. They offer to file the meeting minutes for you for $250. This group goes from state to state creating an address in that state. The problem is that you are not required to file meeting minutes with the State. Some state require an update of who the offices and members are and some even require information updates about the assets of the business. If your state requires that, then they send you a form. If you get this letter ignore it and throw it away. Just a reminder: The IRS does not call you. The IRS does not email you. If you get a phone call or email and you are not sure, call us and ask before you respond. At Soulence, we fell it is very important to do what we can to protect and educate our clients. We also fell it is important for all taxpayers to get this information, so please share it with everyone you know. ← Thinking of Filing an Extension? Subscribe to Avoid Being Audited's Blog! Enter your email address to subscribe to Avoid Being Audited's blog and you'll receive notifications of new posts by email! Thinking of Filing an Extension?